An insurance firm serving the Jefferson County region is leading a local charity initiative to assist a mother of two who is battling cancer. Sean Wiley, CEO and owner of the Missouri-based Wiley Group insurance firm, is announcing the launch of a charity effort aimed at raising support for Christina Reece, a local mother of two diagnosed with life-threatening cancer. Christina has already undergone a double mastectomy, however the cancer has spread and now she must receive care from oncologists in Houston. “We are incredibly impressed by Christina’s drive and motivation to overcome her challenges. She’s no quitter, and our firm is working to do everything we can to life easier for her and her family,” said Wiley. For the duration of this campaign, Wiley has pledged to make a $10 contribution toward Christina’s care in the name of anyone who refers a family member or friend into their nearest Wiley Group location for a complimentary insurance appraisal. This appraisal will be provided without cost or obligation. More information on how to support the event, as well as a form that allows readers to suggest new causes for the Wiley team to assist, can be found here: http://thewileyinsurancegroup.com/rewards/. 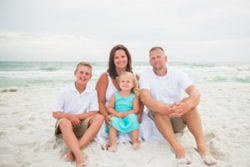 As a Personal Insurance Representative in Festus, agency owner Sean Wiley knows many local families. His knowledge and understanding of the people in his community ensures that clients of the Wiley Group are provided with an outstanding level of service. Sean and his team look forward to helping families protect the things that are most important – family, home, car and more. The Wiley Group also offers clients a preparation strategy for achieving their financial goals. To contact an expert at the Wiley Group, visit http://thewileyinsurancegroup.com/ or call (636) 764-6294.